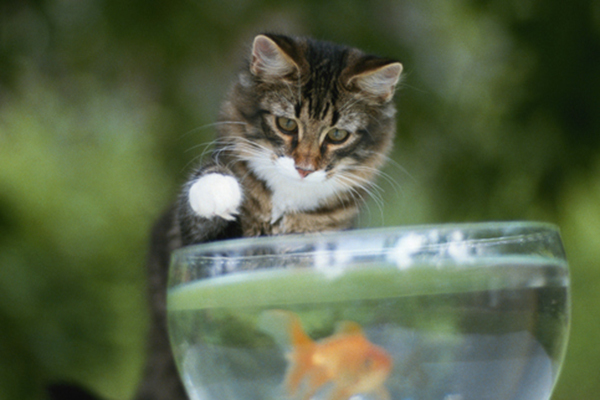 If your cats hate water, we bet you’re wondering the reasons why. Are there any cats who like water? 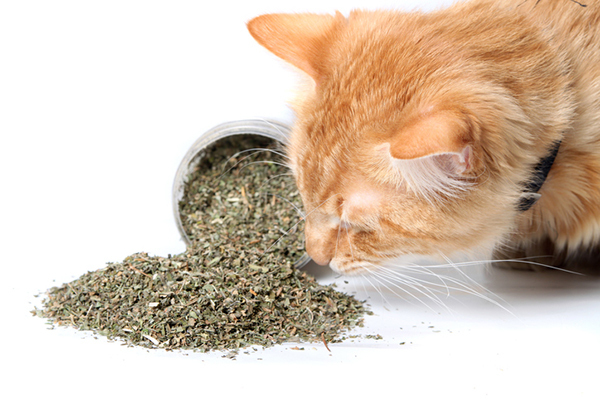 Can your kitty ever be trained to enjoy it? The internet teems with silly memes of cats swimming, surfing and even scuba diving. And, according to YouTube, there are a lot of feline Esther Williams out there. But is that really the case? Ingrid Johnson, CCBC (Certified Cat Behavior Consultant), says, “In 19 years of working with cats, I haven’t seen one who swims.” And when we asked Ingrid King, cat expert and publisher of The Conscious Cat, if it was possible to get cats to like water — she said, “Anything is possible, but unless you live on a boat, why would you want to?” So, why do cats hate water? Do all cats hate water? Is there any way to train cats to like water? A cat putting his paw in a goldfish bowl. Photography by David De Lossy/Thinkstock. It is believed that cats domesticated themselves around 9,500 years ago in the Middle East. This evolutionary scenario helps explain why Felis catus is just not engineered to jump in the pool. 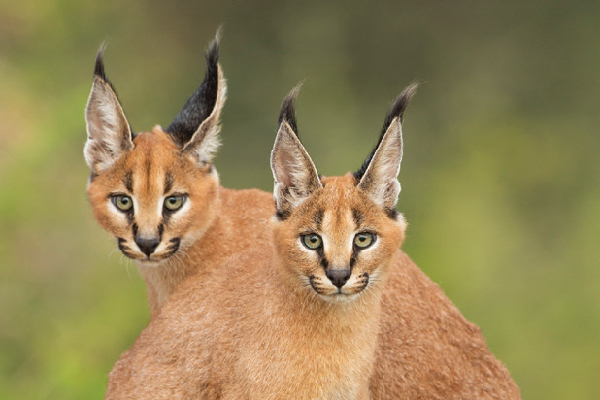 “Some individual cats may be curious about water, but historically they evolved in a dry, arid environment,” Johnson says. And unlike many dog breeds, cats are just not physically built to like water. “Many dogs’ coats repel water,” Johnson says. “But cats’ coats hold water, which brings down their body temperature.” Wet and cold does not a happy tabby make! But why do some of their relatives like water? Some of our cats’ more distant relatives, like tigers, actually enjoy water. Tigers appear to enjoy water to cool off and sometimes swim from island to island in the Sundarbans — an expanse of forest in the Bay of Bengal. Lions have also been seen swimming, but they don’t necessarily seek out the experience. These big cats evolved to swim out of necessity (like finding a mate) and proximity (water is part of their terrain). Can cats be trained to like water? A wet brown cat who’s not too happy about being in the tub. Photography by ollegN/Thinkstock. “You can absolutely desensitize a cat to water,” Garber adds. “Desensitization involves exposing the cat to water gradually, always staying below the cat’s fear threshold.” She recommends clicker training — start by clicking and rewarding when the cat steps into a shallow tray of water. As the cat becomes more comfortable, increase the depth of the water while maintaining his comfort zone. 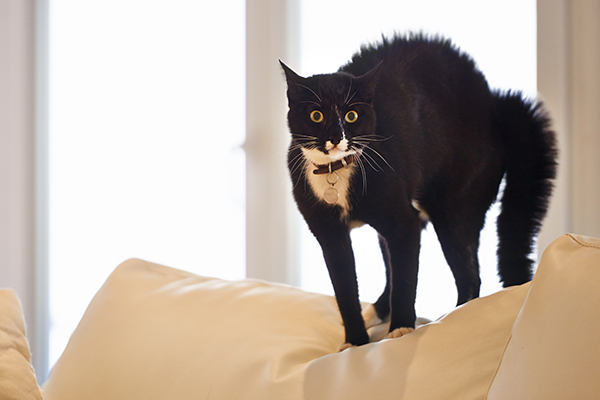 Remember — cats like to feel in control, so don’t force him to do anything he doesn’t want to do. Rich adds that temperature also affects how cats feel about water. 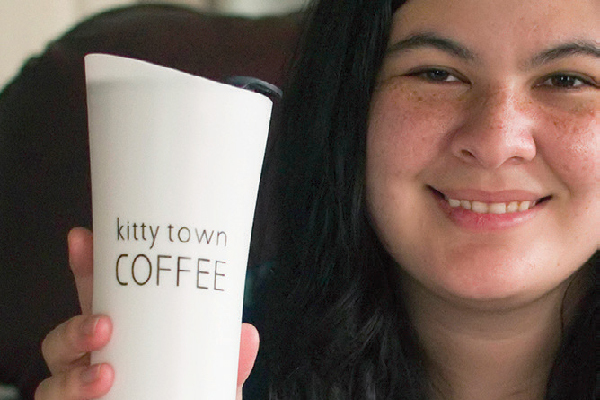 “[Water] should be warmed before introducing the cat to it,” Rich explains. While your cat may never really swim, he could have his environment enriched by playing with water. Johnson makes ice cubes out of chicken broth as fun toys for her cats. She places the cubes on a cookie sheet and a bout of delicious play ensues. Other games include filling the bathroom sink and floating ping pong balls on the surface or dropping marbles to the bottom. For most cats, water will be something on the periphery of their daily lives. Some cats will enjoy playing with water more than others, but all cats should be able to make that decision for themselves. Genetically, water and cats don’t exactly mix. 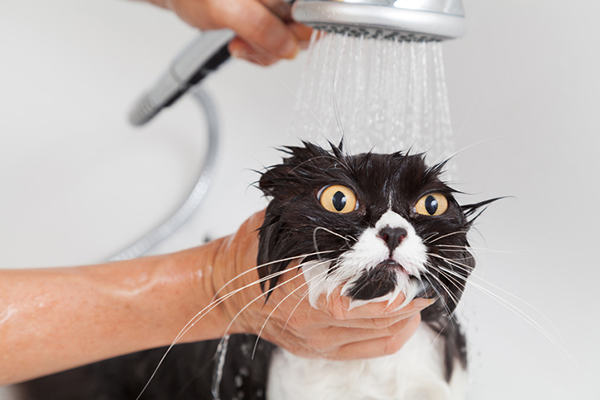 Tell us: Do your cats hate water? Have you ever had cats who like water? Do Cats Need Baths? Here’s How to Give Your Cat a Bath and Survive! Pingback:Can Cats Swim? Do Many Know How? Can Cats Enjoy Swimming? I had a stray cat (who looked like Garfield the cat) who I adopted at 3 weeks and bottle feed who loved taking showers and drinking from the sink he would even walk out into the shallow parts of my pond.